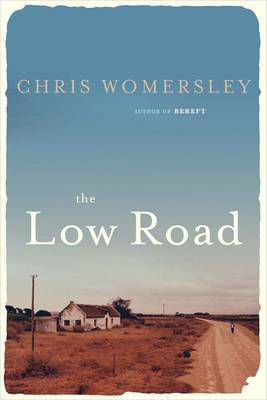 More about the selected titles and other shortlists announced tonight can be found at the CWA's website. 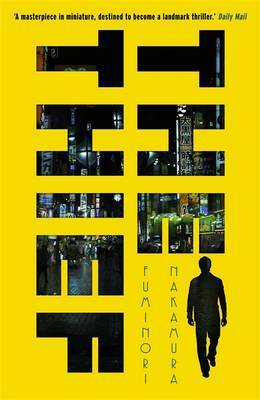 Black Skies is the title most people want to win the 2013 Petrona Award whereas Last Will is the one people think will win the Award. 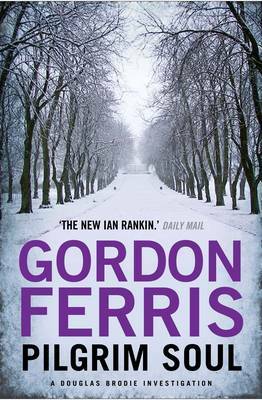 The official winner will be announced at the CrimeFest dinner on 1 June by Barry Forshaw. Danish nurse Nina Borg works in Copenhagen at a Red Cross centre for immigrants offering medical and emotional support. She also works for the Network which offers help to illegal immigrants, and her husband Morten is not keen on this at all. When he has to leave Nina with their two children for a couple of weeks whilst he is on an oil-rig, he makes her promise not to do any work for the Network whilst he is away. Of course things don't go to plan and Nina is gradually drawn into a nightmare scenario which begins with her treating some sick Hungarian Roma refugees for what appears to be a bad bug but is actually something far worse. Before Nina joins the main narrative we get to learn about Sandor, a Hungarian law student who has masked his Roma origins to fit in with non-Roma society, but whose half-brother Tamas is involved in making a huge amount of money in a transaction which involves him going to Denmark. 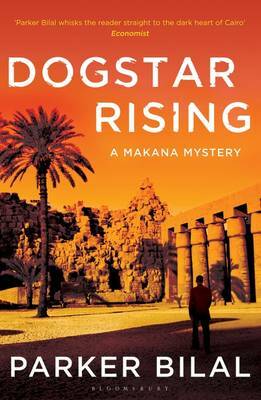 Sandor is sent to find Tamas when Tamas breaks contact with his wealthy, criminal, backer. 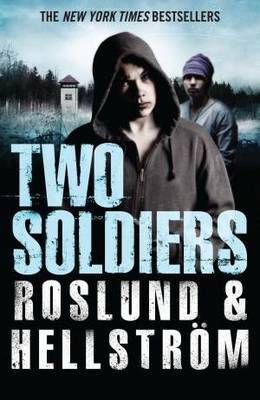 A third strand involves Soren from the Danish security service who are preparing for a Summit meeting and Soren begins to investigate a terror threat which has a Hungarian connection. And how does the elderly retired buildings inspector, Skou-Larsen, living next to a Mosque construction site fit in to all this? 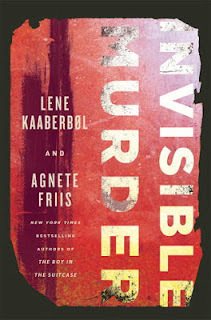 THE INVISIBLE MURDER, the sequel to THE BOY IN THE SUITCASE, is a gripping thriller which sets the various narrative threads running before entwining them in a nail-biting race against time climax. Nina acts much more rationally in this second book, and yet still cannot seem to win and her ethical acts take a toll on both her and her family, physically, emotionally and personally. The authors weave politics into their characters' lives, from the issue of immigration in Denmark to the racism and prejudice faced by the Roma and this is what makes this series of books an interesting as well as an exciting read. 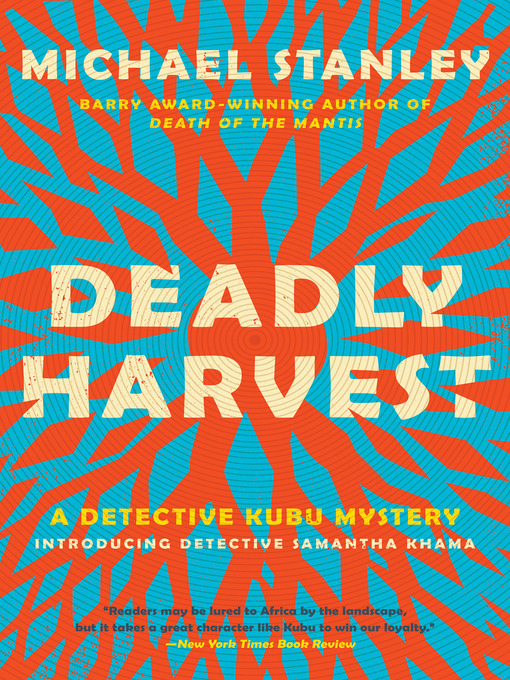 This is crime fiction with a heart and I look forward to catching up with Nina's newest crises in DEATH OF A NIGHTINGALE later this year. 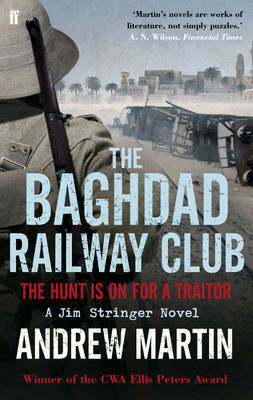 The 2013 CWA International Dagger Shortlist will be announced on Friday night at CrimeFest. Which of these titles below would be on your shortlist? 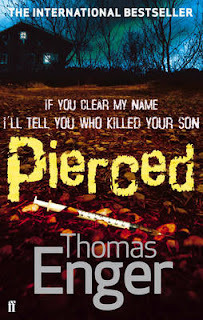 Laura Root reviews the Petrona Award shortlisted Pierced by Thomas Enger, tr. Charlotte Barslund, the sequel to Burned. 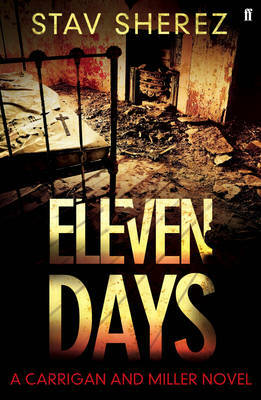 and Terry also reviews Stav Sherez's Eleven Days, the second in the Carrigan and Miller series. A new website has been set up for the late author Janie Bolitho: janiebolitho.info and the webmistress Jolene needs your help. Biographical detail on the author is scant and Bolitho's DCI Roper series has not yet been reprinted and so copies are rare. 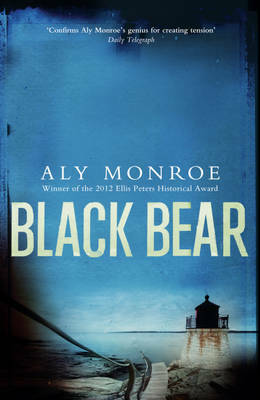 Fortunately Allison and Busby have recently republished some of the Rose Trevelyan series, set in Cornwall. If you have memories or information about Janie Bolitho, book reviews you want to share then Jolene would love you to get in touch via the website. 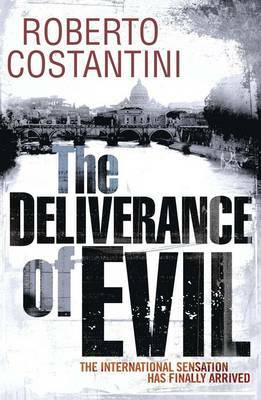 Janie Bolitho's Euro Crime bibliography (with a couple of reviews) is here. It is July 1858 and London is in the midst of a terrible cholera epidemic and many of the bodies that are being brought to St Bart's Hospital, Smithfield for examination and post mortem by Professor Adolphus Hatton and his able assistant Albert Roumande are infected with this dreadful disease. However, the two expert forensic pathologists have a very enthusiastic apprentice, Patrice, to teach and a great need to find diverse patients to demonstrate to him the skills he will need in his new profession. During the Great Irish famine approximately a million people died during the years 1845 and 1852 and a lot of the remaining population emigrated both to London and America. There was a lot of racist antipathy directed towards these new Irish immigrants at that time and the body of leading Irish Unionist is found and Inspector Jeremiah Grey of the Yard requests the help of the two expert forensic pathologists in finding the cause of death and ultimately, hopefully, the killer. 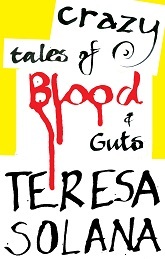 In this multi-faceted story, in between the main narrative of the work of Professor Hatton and Albert Roumande, is given the back-story of the Irish killers discussing their next moves. Professor Hatton has dealt with other Scotland Yard detectives before, but not one as strange as Inspector Grey appears to be. He is a Welsh man and he dresses very flamboyantly and employs an Italian personal manservant who speaks very little English but appears to carry a personal firearm! 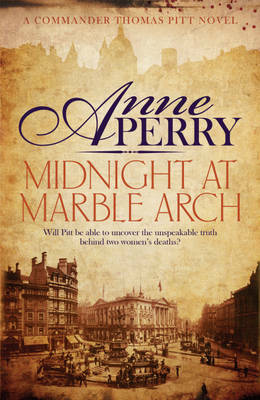 When it becomes clear that they are dealing with a series of connected killings the forensic pathologists must find, with the help of the policeman, the connections between the various victims and also identify who set off a huge bomb that exploded in the Burlington Arcade, Piccadilly, London killing many people. The science of forensic pathology was in its infancy at that time of course and the investigatory techniques were very primitive in comparison to what we know today, but it is very interesting how much the pathologists of that time were able to discover with what limited evidence they had to hand and the primitive conditions they had to work in. The beginning of the science of fingerprinting is investigated. 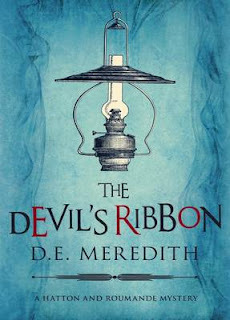 I found this second book by D E Meredith even more gripping than the first, DEVOURED, and the amount of extensive research that she must have undergone was huge. As a British born child of Irish immigrant parents myself, I was particularly interested by this story, but I could not fault any of the author's detailed research and there were many new particulars she gave that I was completely unaware of. D E Meredith gives a very vivid atmospheric picture of life at this time and I was transported by this wonderfully evocative story telling right back to Victorian London. The book in its hardback edition has sumptuous packaging including, very unusually, a ribbon page marker (I wish that all publishers followed this example) and a printed hardback case. All in all, a delightful and most extraordinary second novel in this new historic mystery series about the Victorian forensic pathologists Hatton and Roumande. I look forward to reading subsequent stories in this series. Strongly recommended. 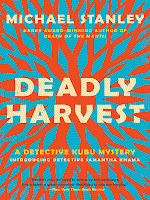 Official Blurb: Fascinating short stories that include a rather bloody satire on installation art (“Still Life No.41”, shortlisted for the 2012 short story Edgar award), a wonderful story of gruesome revenge involving a wayward son-in-law, a surprising and hilarious tale of a pre-historic serial killer who invents God and psychoanalysis, and, inevitably, a vampire story told with venom and humor. One of the stories, The First (Pre) Historic Serial Killer, can be read for free online here. *in this instance taken to be Denmark, Finland, Iceland, Norway and Sweden . More details about the award can be found on the Petrona Award website and the history behind it at Petrona Remembered. Links are to Euro Crime reviews and gender, country and publisher details are also included. 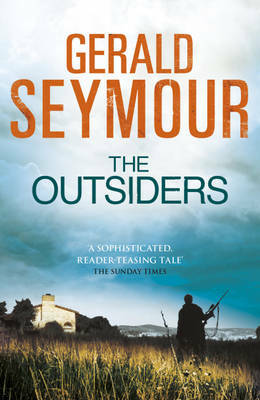 The longlist for the Theakstons Old Peculier Crime Novel of the Year Award 2013 has been announced. The winner will be announced at Harrogate however we the public will be able to vote on the shortlist of six, announced on 1 July, from 4 July. 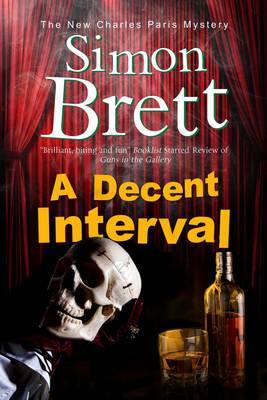 More about the award is on the Harrogate Crime Writing Festival website. The new Hodder catalogue has arrived today with details of a new Lord Peter Wimsey novel by Jill Paton Walsh. The Late Scholar will be published on 5 December 2013. This will be Jill Paton Walsh's fourth Peter Wimsey, the previous three had varying degrees of input from Wimsey's originator Dorothy L Sayers from half a book (Thrones, Dominations), some letters (A Presumption of Death) to the mention of a case (The Attenbury Emeralds). Peter Wimsey is pleased to discover that along with a Dukedom he has inherited the duties of 'visitor' at an Oxford college. When the fellows appeal to him to resolve a dispute, he and Harriet set off happily to spend some time in Oxford. But the dispute turns out to be embittered. The voting is evenly balanced between two passionate parties - evenly balanced, that is, until several of the fellows unexpectedly die. 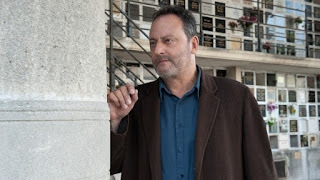 JO is a one-hour close-ended crime series about Joachim “Jo” Saint-Clair, played by Jean Reno (“Leon – The Professional”) a veteran detective in Paris’ elite Criminal Brigade tackling the city’s most challenging murder cases. Each episode will feature one case, while Jo’s personal journey has a series-long arc. 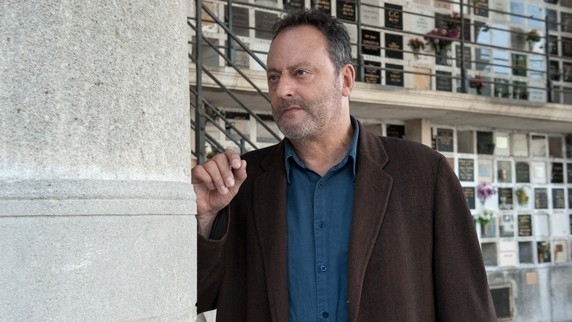 From the Emmy® winning executive producer of Law & Order comes JO, a thrilling new crime drama starring legend of French and Hollywood cinema, Jean Reno. 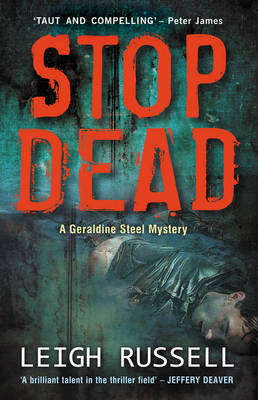 Jo St-Clair is a veteran detective in Paris’s elite Criminal Brigade, tackling the city’s most challenging murder cases. 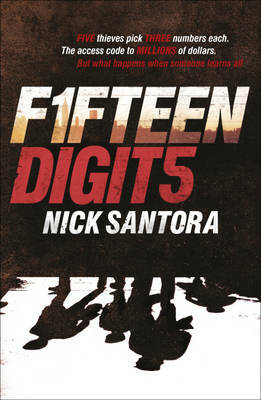 All the while, his personal life is as challenging and dangerous as the cases he solves. 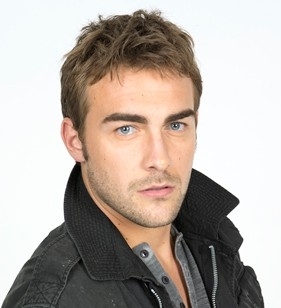 St-Clair is partnered with rookie detective Bayard, a good looking, college-educated cop whose by-the-book approach stands in marked contrast to St-Clair’s lone-wolf methods. Supervising them is the tough-minded boss, Commisaire Dormont, who has suffered a long tumultuous history with Saint- Clair. 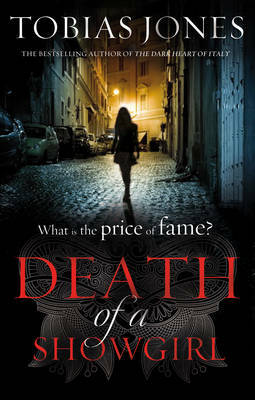 Brilliant and brutal, St-Clair matches wits with pathological killers to solve a series of shocking murders: a supermodel thrown off the Eiffel Tower; a young heiress brutalised during a sexual romp at the Hôtel de Crillon; a high-end jeweller burned to death on Place Vendôme. 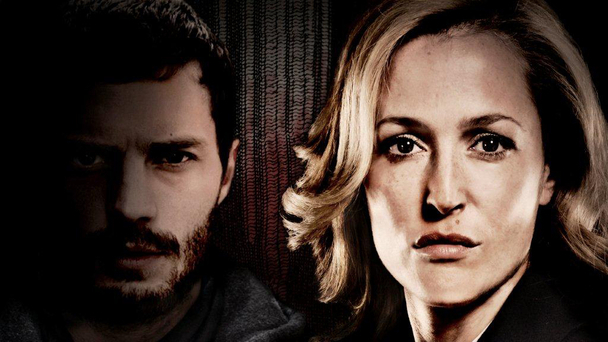 Gillian Anderson stars as DSI Stella Gibson in the first part of this gripping new investigative thriller. 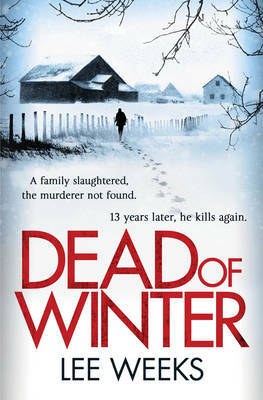 When a murder in Belfast remains unsolved, Gibson is brought in from the London Metropolitan Police to help catch the killer. Read more about the plot on the BBC's website. "Unlike most other literary prizes, the Dagger in the Library is awarded not for an individual book but for the author’s body of work. Last year’s winner was Steve Mosby, and previous winners have included Mo Hayder, Colin Cotterill, Stuart MacBride and Craig Russell; whilst Lesley Horton and C J Sansom have been Highly Commended. The nominated authors must be alive, preferably working in Britain and cannot have won the award before. As the award is for a body of work, authors should have published at least three books."